Brittany Tran and lead Heather Rogers will migrate from teams Scotland and Ramsay respectively, we would hope. CrockerWalker will be based in Edmonton. It sounds like a lot of travel and communication, but the article has a very positive tone. I wish them good curling. that sounds like a solid team. Laura Crocker has one of the best demeanours in the womens game - very engaging, professional and knowledgable. May have been playing out of position (3rd) where she's not a model 3rd in terms of folks like Miskew or Lawes. Skip might be her natural position - main concern is Nicole Sigvaldson may not be a solid enough 3rd - Birchard was the big strength for her own team, not Nicole. Best available might be her biggest selling point but not enough to be a Top 5 Canadian team - I'd place them somewhere between 10 and 20. Why mention a particular article without including a link to it, or even pointing out where it can be found? I see you did the same thing in another thread. Very bizarre. I did find an article on the subject (though I don't know if it's the one you referenced)... it just doesn't make much sense to describe an article without pointing to it in some way. I know he's been with the same team for a long time now and he might be one of the last you would expect to make changes but i have to wonder if mcewen might shake things up. we've already seen a fair number of women's teams no one saw changes coming from happen so we can't rule it out. same thing for carruthers. 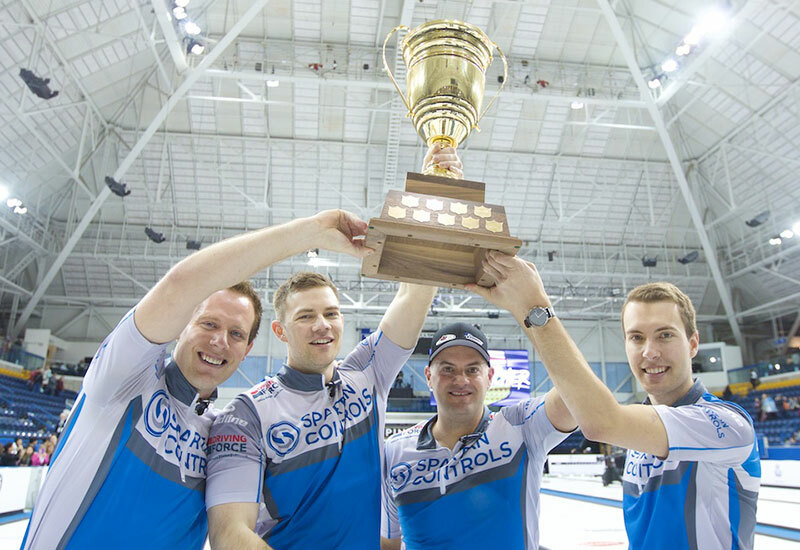 as good as they've been on the cash tour they had a disappointing brier a few years ago and this year, should they once again fail to even make playoffs i could see changes coming. perhaps braeden heads back to saskatchewan. 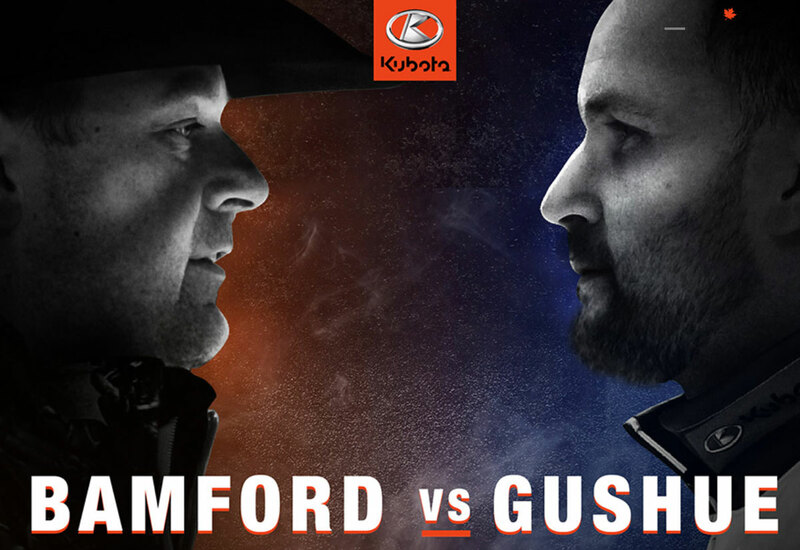 maybe reid lures dunstone back to manitoba to curl with him. matt and john are both recently married on team epping which is part of the reason why i think changes will come from this team. might see one or both want to take a step back and not play as much. One free agent both McEwen and Carruthers might chase is the poster boy for Curlers without boarders - John Morris. Morris has a ton of eccentricities (to put it lightly) but he'd sure shake both Manitoba teams out of their apparent lethargy. McEwen used to be a power curler who was mediocre at nuance - now he's not even a power curler. Carruthers was a nuance-curler who wasn't particularly strong in the power game. McEwen is easily destroyed by a rock-position master like Gushue - or a power gang like Jacobs. Reid has a powerful team but he lacks in certain areas. someone else i'm wondering about is casey. on one hand i'd like to see him stick with one team for more than a season or 2 on the other hand he can't be happy with how this season went and he is an ambitious guy. McEwen the power curler - you do realize that at this event he still has the effects of chicken pox and has infection and liver problems as he is playing. That may be making him tired, and maybe not the player we know he can be. McEwen was well enough to put up a 97% vs. Meek Reid tonite in a do or die game for Mikey. Might have to switch my opinion that Team McEwen will disband shortly after this thing ends - no matter how valiant the effort, Mikey screwed up something fierce earlier - and now Bradley Jacobs is screwing up vs. Bottcher as the young Alberta bucks are showing Jacobs what a Calgary Stampede really looks (and feels) like. Re-dos of tonite's draw! Will anyone learn? 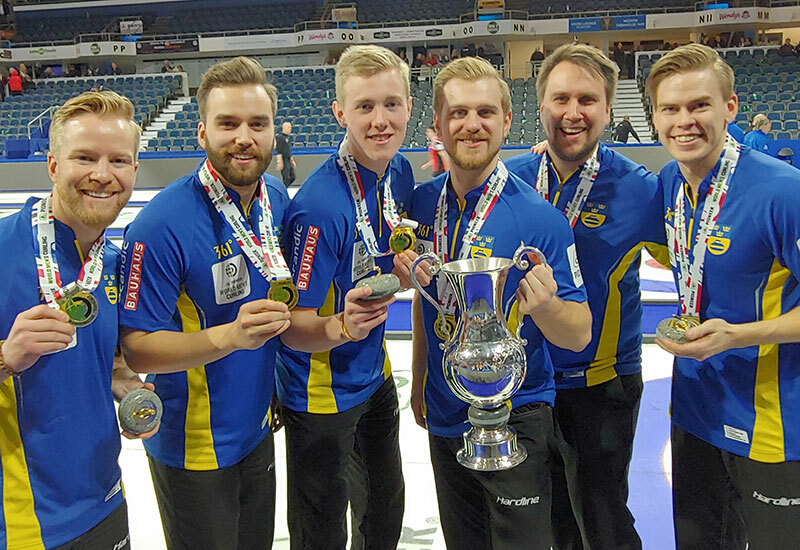 Matt Dunstone has quietly slipped into the back-story of this year's event - the big story is John Epping doing so well in his Brier debut - Bottcher is a notcher below in terms of great stories. 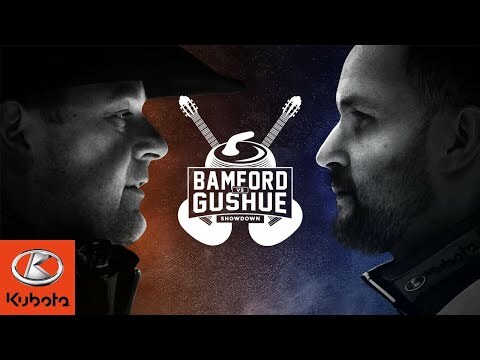 Still think Gushue wins the deal. Too strong - and his rock positioning gives everyone fits - not just mopes like McEwen & Carruthers. 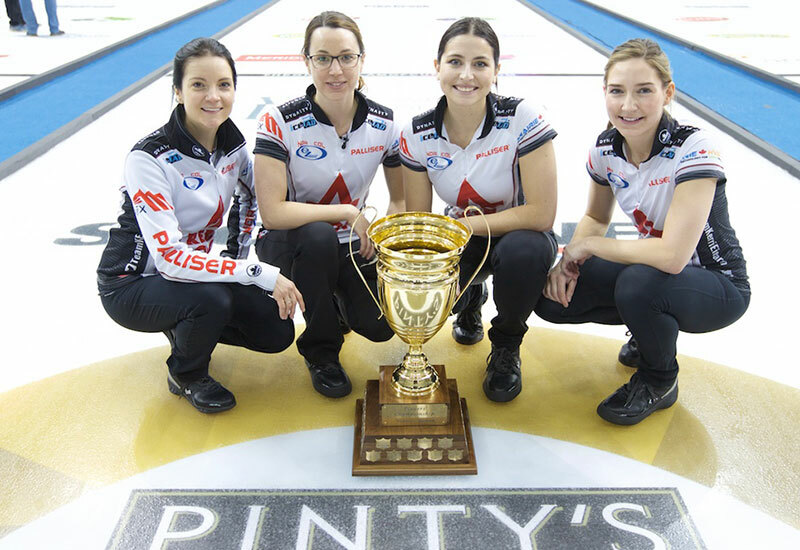 Team Carruthers will disband! No question now! 5-6 in a field of mostly mopes - UNBELIEVABLE! Posts: 11872 Who is coming in for Mark Kennedy? Lots of speculation that Team Koe will go their separate ways. That itself would be interesting as each member could add something special to a number of ultra-competitive teams. However, assuming they remain together who are the primary candidates to replace Mark Kennedy at 3rd? 3. The Unexpected - Wayne Middaugh, in the comeback of his life. If Wayne gets thru rehab with a clean bill - what talent and experience he could add. My money is on Morris - only problem is he'd be taking over the team 3 shots in. Things might have changed since the end of the Olympics but John Morris stated that he is going to focus on mixed doubles going forward as he wants to lessen his time commitment to focus on work and family. Alina Paetz and her team are splitting up. Ladyhawke looked virtually unbeatable when she was knocking Jennifer Jones from pillar to post just a few short years back. However, looking back - it was more Jones beating herself than Paetz handling Jones. Jones was out of sorts - and whilst so made Ladyhawke look like the next coming of Sandra Schmirler. Wonder if Alina has her sights set on anyone from Team Silvana or the other Top 5 Swiss teams! 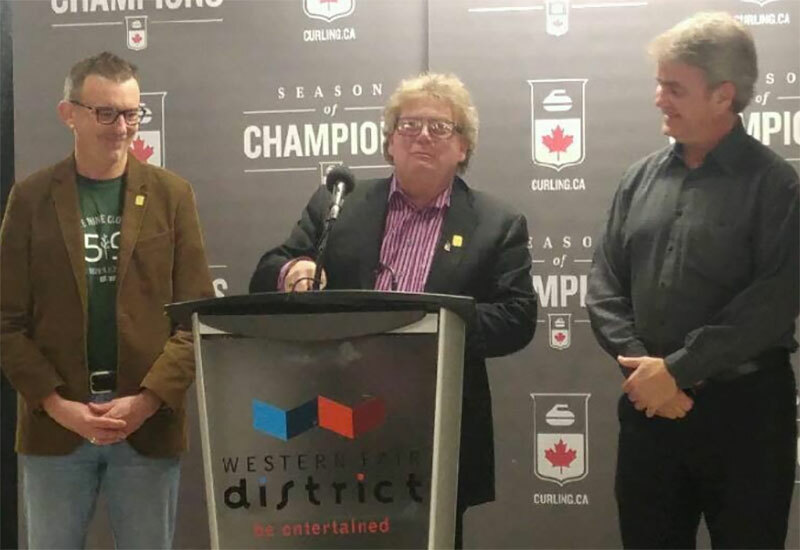 And the first big men's team breakup is announced as Mike McEwen's team is splitting. Now as I told ML a few days ago wait for the announcement that Carruthers and McEwen will join up. Told by someone in the know - hope it is true. Who skips? Who are the other 2? don't know - all I was told was McEwen and Carruthers will be teaming up, by someone I think is very reliable. Maybe Brett Laing "relocates" to Winnipeg and Hebert is the import. not entirely unexpected. so many women's teams that you didn't see coming have broken up. it's shocking in a way but also not. would be an interesting combination. could be a powerhouse team. if braeden stays in manitoba i wonder if he curls with them. maybe each brings a team member with them. mike brings matt and reid brings colin? I hope your reliable news is not true. Mike and Reid don’t seem like a good pairing. Dunstone and Mike, now that would be interesting. One of the very few times I have to agree with Gumshoe Guido - - - - not only that Mike & Reid would be an AWFUL PAIRING! Reid is a nuance curler - a bantam sized version of the master, Brad Gushue. He knows the nuances of skipping, having learned from the best - but his execution and personal shot-making are nowhere near the level of Goo, Koe, Jacobs, even Bottcher, Dunstone & McEwen. Well they are very good friends, but of course, curling together could be different than just a friendship. My source curled in the provincials and even went and saw Mike while he was in the hospital.